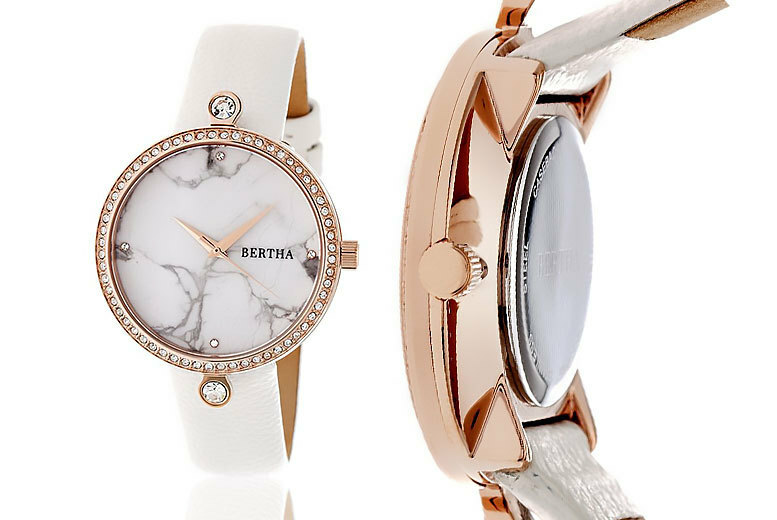 With a seriously stylish Bertha Frances ladies’ watch you have a carefully crafted piece of jewellery as well as a way to tell the time accurately. 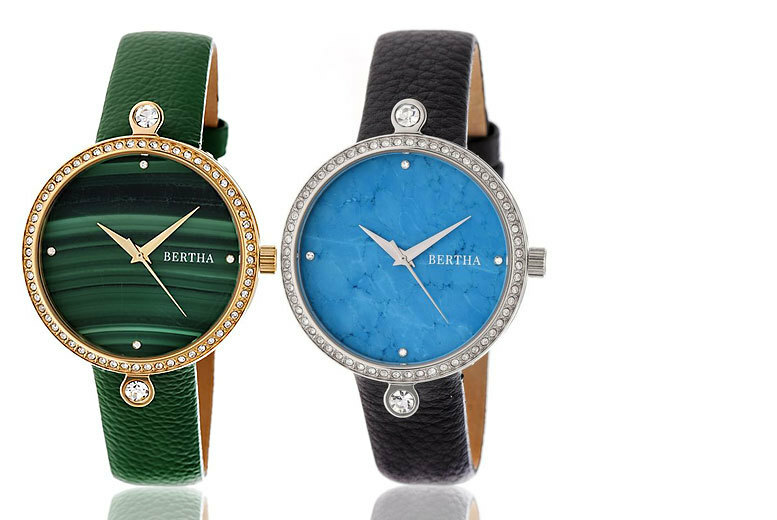 Time to get stylish with a Bertha Frances ladies’ designer watch! With a choice of five designs! With blue, black, white or green dials! And a stunning genuine leather strap. 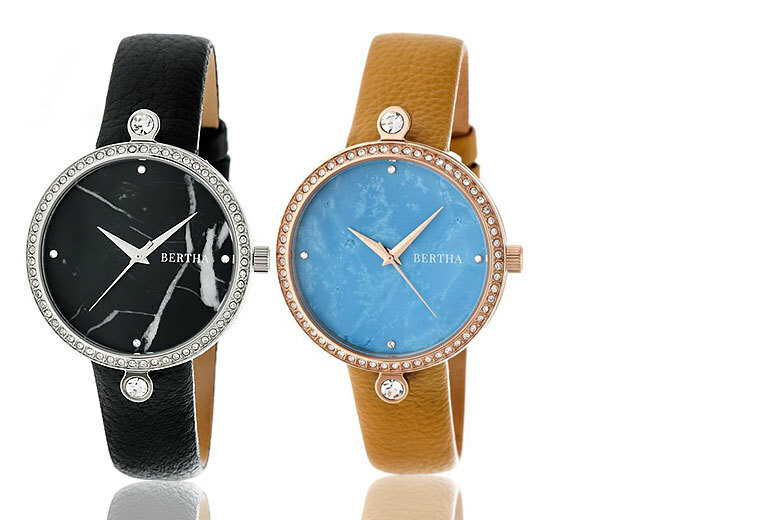 With a beautiful marble watch face. A perfectly timely gift or a treat for yourself.